Registered nursing is a field that is growing faster than most occupations, and nurses with bachelor’s degrees will have the best prospects for work. As a result, there has been an increase in the demand for RN-BSN degrees, or programs that allow registered nurses to return to school and earn a Bachelor of Science in Nursing, while at the same time getting credit for previous professional and academic experience. Many nurses who choose this option also want to continue to work while in school, so many schools offer flexible programming that can be customized to meet the needs of students’ busy schedules. Because of the popularity of RN-BSN degrees, we set out to determine what the best, most affordable schools in the country for such a major are. We started with a list of all the fully accredited nursing degree programs in the country and then eliminated all the ones deemed unaffordable. As a result, all the schools on this list have a net price (tuition minus average financial aid package) less than $22,000. We then collected data on each of these schools in seven categories: graduation rate, freshmen retention rate, student-to-faculty ratio, percentage of classes taught by graduate assistants, minimum undergraduate GPA required for admission, type of classes available (online or face-to-face) and 3-year average NCLEX pass rate. The schools with the best overall scores made this list of the Top 30. Although students entering an RN-BSN program will have already passed the NCLEX, we included this statistic because we think it is a good indicator of the overall quality of nursing courses at the school. We also gave the most credit to schools with hybrid delivery formats, as these enable students to get both the resources of on-campus learning and the flexibility of distance education. All the schools and programs on this list are fully accredited and state board approved, and are listed from the most to least expensive. 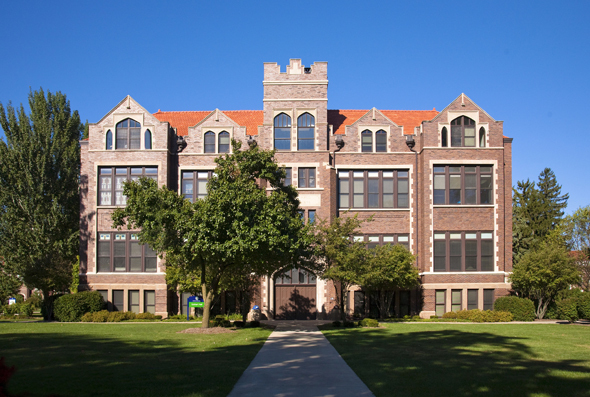 The College of Nursing at Valparaiso offers a distinctive approach to learning, blending a liberal arts education with an emphasis on sound decision making in clinical matters. Students explore cutting-edge topics both in and out of the classroom and gain exposure to aspects of geriatrics, pediatrics, community and family health, and more. The university has a small student-to-teacher ratio of 14:1, which allows nursing professors to serve as supportive mentors. 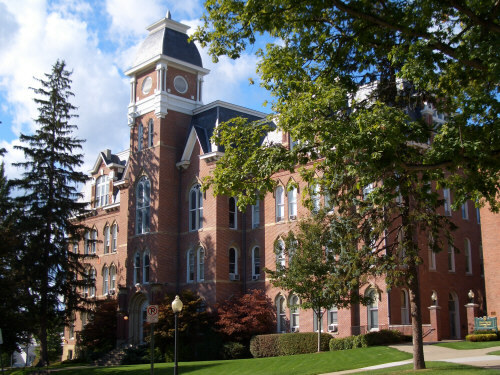 Valparaiso also boasts a high freshmen retention rate of 87% and a 6-year graduation rate of 70%. Nursing students also benefit from learning in the Virtual Nursing Learning Center, can get tutoring assistance, and can join the Student Nursing Association for peer support. 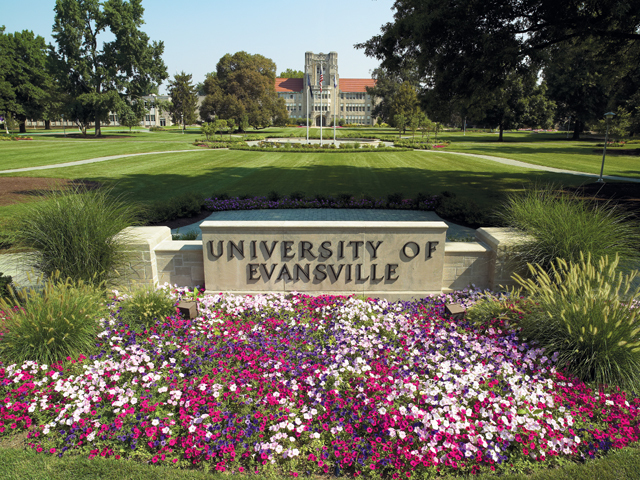 The University of Evansville offers an online RN-BSN program that is ideal for working students who require a flexible school schedule. You can customize the program to fit your needs and can study at your own pace – there is no time requirement for completion. Outside of the classroom, students can join the Student Nursing Association of Peers (SNAP) or Brotherhood of Student Nurses, practice simulations in the well-equipped Dunigan Nursing Simulation Laboratory, or even travel to England or China to further develop their skills. The school’s nursing classes prepare students so well for professional work that it boasts an average NCLEX pass rate of 91%. Trinity College’s RN-BSN program is termed “BSN-C” and includes flexible options for working students. It can be completed in as little as two years or on a part-time basis. Classes include a mix of nursing classes, like Nursing Leadership and Management, Pathophysiology, and Nursing Research, as well as a variety of general education courses. The program focuses not just on teaching students practical knowledge, but also on developing communication, critical thinking, and leadership skills; management and IT abilities; and an appreciation for culture and ethical principles. Trinity has an excellent freshmen retention rate of 91% and proudly claims and average NCLEX pass rate of 100%. Concordia is one of the premier nursing schools in the Northwest and offers students a small, caring community characterized by individualized attention from faculty members and time for spiritual growth. As a Christian university, the school encourages students to practice compassion through all hands-on activities and real world practice. 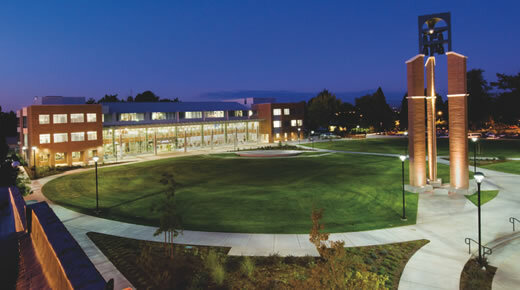 Concordia has one of the largest cadaver labs in the Pacific Northwest and recently completed state-of-the-art laboratory renovations. Concordia has a variety of options for transfer students, including juniors who have completed all prerequisite courses. 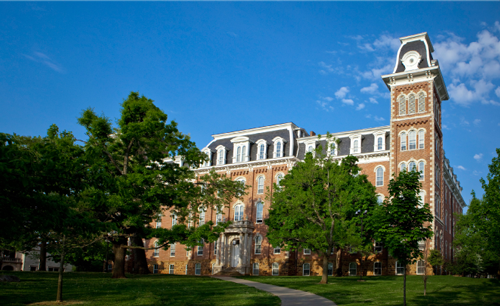 The school is fairly difficult to get into and requires an undergraduate GPA of 3.0. 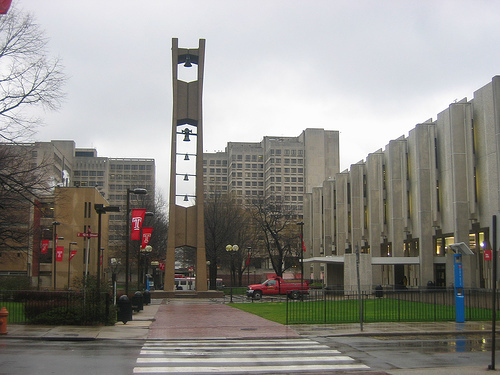 Temple University’s prestigious Department of Nursing has a reputation for excellence; both its undergraduate NCLEX and graduate NP Certification Exam pass rates are among the top in the state. In order to quality for the university’s RN-BSN program, applicants must successfully complete an NLN-AC accredited nursing program with a cumulative GPA of at least 3.5. 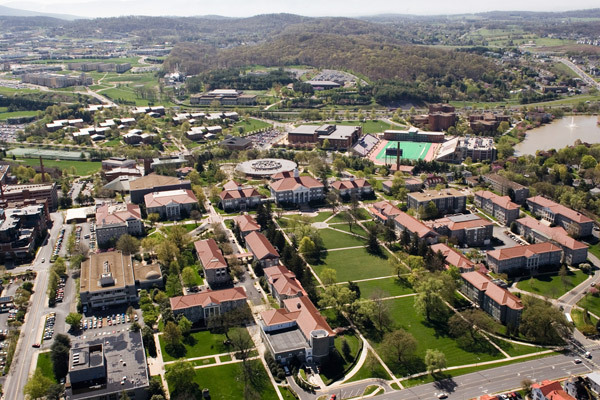 Although getting in is highly competitive, admitted students benefit from student organizations, career resources, and three different research centers/labs that allow for community-based practice. Thanks to the school’s variety of resources, it maintains an average freshmen retention rate of 87%. At Elmhurst, nursing students work together with faculty in a collaborative, productive environment – an easy feat when the student-to-faculty ratio is only 8:1. All faculty members are nurses themselves, and most have master’s degrees or doctorates in their field. Students who graduate from the Deicke Center for Nursing are almost guaranteed employment within the first year, and many go on to earn advanced degrees. Students of the RN-BSN program study off-campus through the cohort model at partner hospitals. 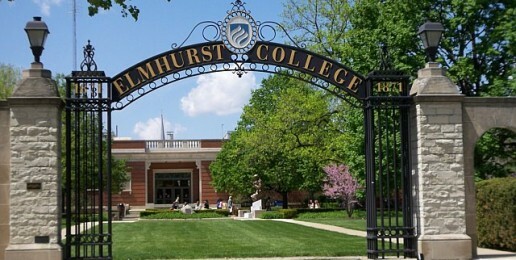 This unique “Academic Partnership Program” allows Elmhurst to extends its boundaries beyond campus and give students access to all the resources of the Chicago area. 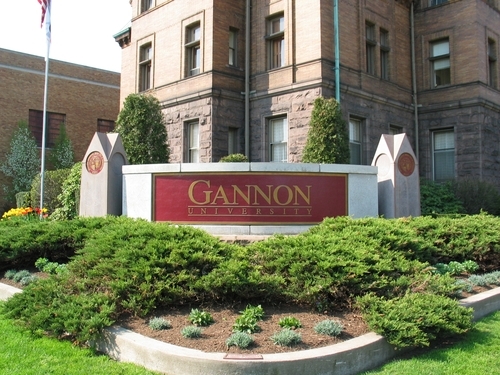 Gannon University’s Villa Maria School of Nursing has a long history of preparing nursing students for superior performance in the working world, first admitting people to the program in 1952. The school offers an online RN-BSN degree that is perfect for students with previous working experience. You can earn up to 11 credits for time spent working as an RN and complete classes in a convenient 7-week format. 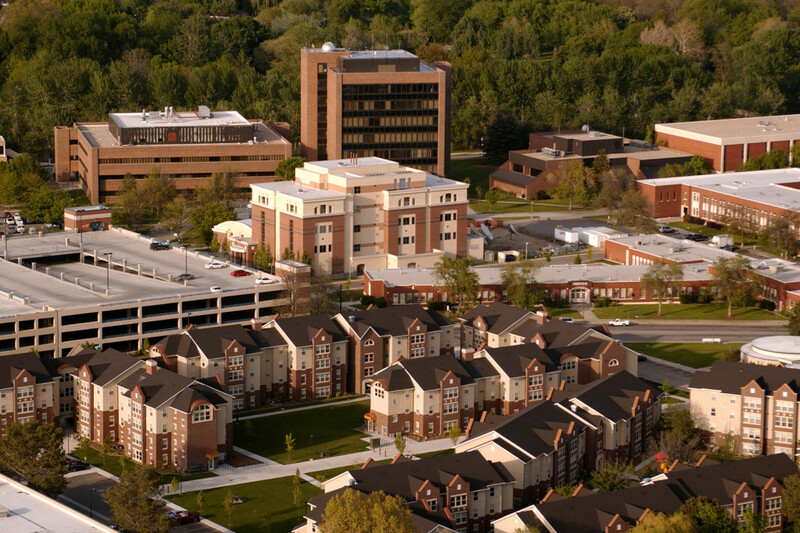 In addition to learning all the fundamentals of nursing through distance education, you can also take advantage of all of Gannon’s campus resources, including summer internships and access to the Interdisciplinary Patient Simulation Center. 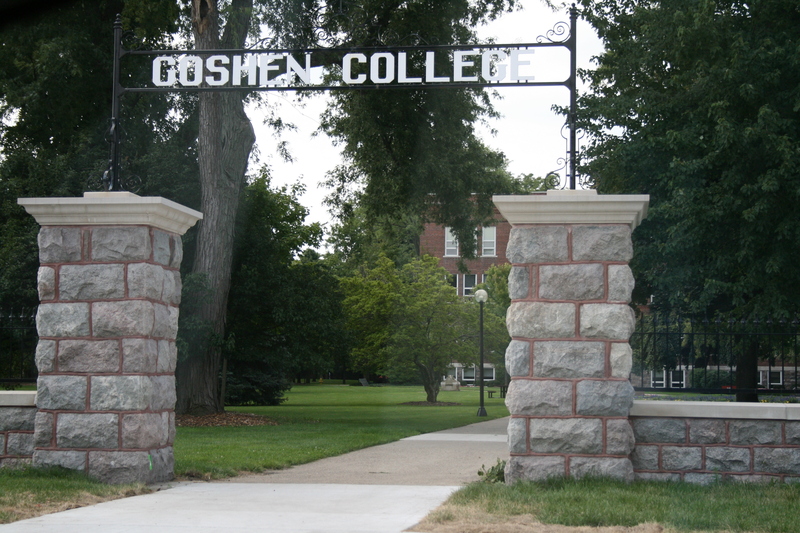 Goshen College is one of the only nursing programs in the United States to offer a cultural immersion experience through the Study-Service Term, which allows students to travel to a third world country to gain clinical experience in a healthcare setting. Students can complete the RN-BSN track in as little as 19 months and is designed so that most study is self-directed. In the unique format, groups of 10 to 20 RNs progress through courses together, meeting on campus or at the nearby general hospital one night a week for four hours. Students also work together through clinical experiences and build peer connections that contribute to better study experiences. 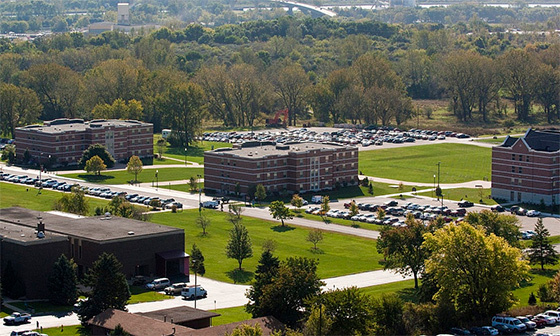 Walsh University if a Catholic institution that offers BSN Pre-Licensure, BSN for the RN, Accelerated BSN, and MSN for the RN programs. The school is accredited by the National League for Nursing Accrediting Commission and claims the highest NCLEX pass rate of any school in Ohio. Students in the RN-BSN program receive 25 semester hours of credit for previous work experience after completing all their 300-level courses at Walsh. Most required courses are directly related to nursing, but you will also be required to take biology, chemistry, and math classes. Also, to cater to the needs of working professionals Walsh offers nursing classes at four campuses around Ohio. 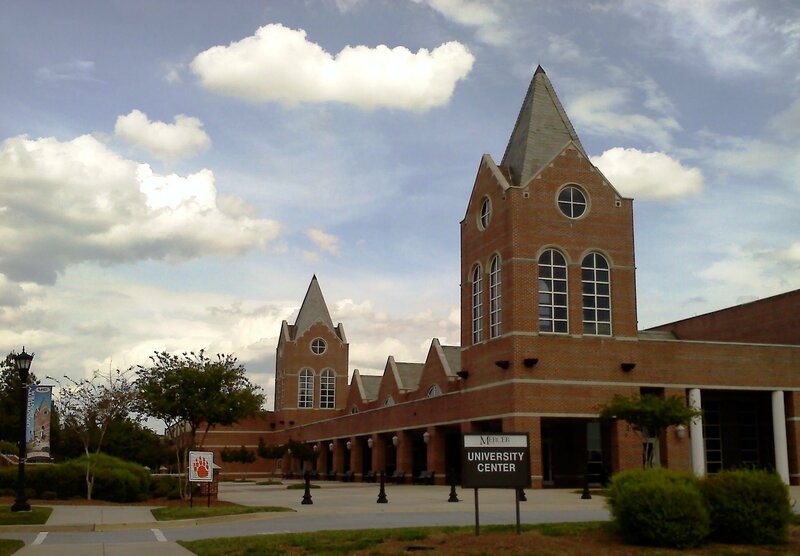 Mercer University’s Georgia Baptist College of Nursing offers an accelerated completion track for Registered Nurses. Courses are designed with the needs of professionals and parents in mind, and so many are scheduled one day a week in the evening for maximum convenience, and some classes are also available online. This highly competitive program offers more clinical experience than most other nursing schools and is one of only five nursing programs in the nation to receive the Stellar School Chapter Recognition award. Mercer also has a much higher than average NCLEX pass rate, at 95%, and has very high student enrollment in the National Student Nurses Association. All undergraduate and graduate programs at the West Chester University of Pennsylvania are accredited by the Commission on Collegiate Nursing Education and are fully approved by the PA State Board of Nursing. RNs who apply to the RN-BSN program at the university can get up to 28 credits for previous nursing classes, as well as Credit for Life Experience (CLEP) by passing specific exams. Students can complete the remaining nursing courses one night a week and then sign up for individualized clinical assignments that can be executed independently or in groups. 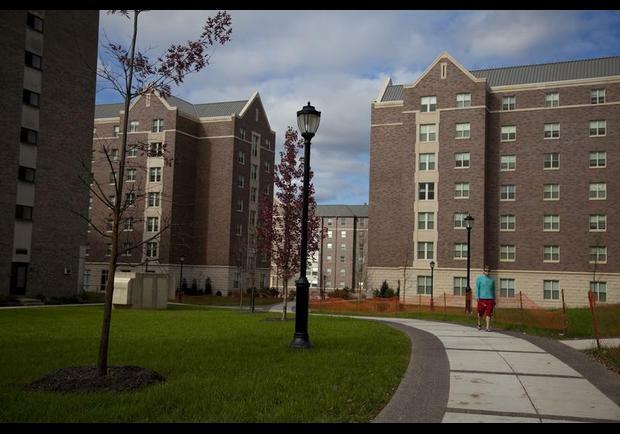 West Chester retains 85% of its freshmen from year to year and has a higher than average NCLEX pass rate. Lewis University takes a holistic approach to healthcare, educating students about how to care for patients physically as well as mentally and emotionally. Recent renovations worth over $1 million allow students to collaborate more effectively in new spaces, gain experience in new patient exam rooms, and work in updated simulation labs. The RN to BSN program is characterized by small class sizes, interactive discussion, active participation, and friendly faculty. The high quality of the nursing classes and a student-to-faculty ratio of only 13:1 undoubtedly contribute to an average NCLEX pass rate nearing 100%. 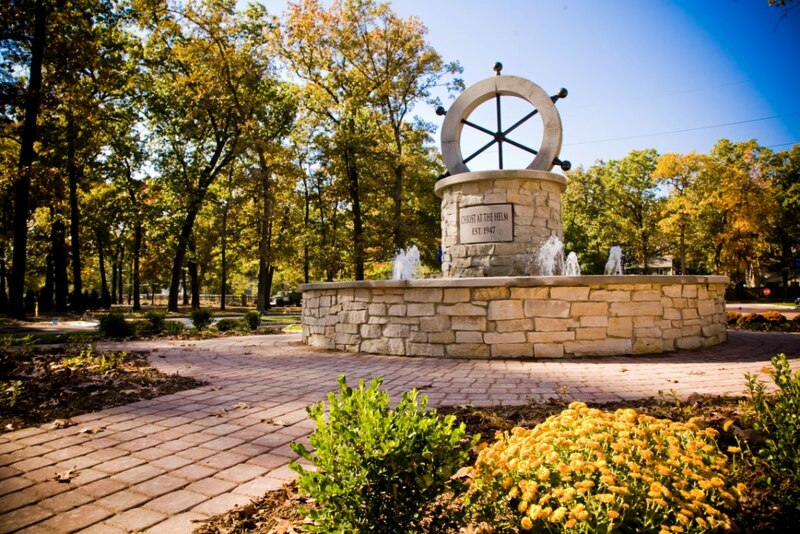 Bethel College combines a Christian liberal arts education with a holistic approach to healthcare. All classes are Christ-centered and kept small to emphasize active faculty involvement. When it comes to faculty, all professors are qualified and experienced – you won’t find yourself learning lessons from graduate assistants. RN-BSN classes are incredibly flexible and are available in a hybrid format so you get the best of all worlds, with access to great campus resources and innovative distance education technologies. You can also choose between the traditional, 20-month format or the accelerated 12-month format depending on your availability. Either way, you can have the diploma you need to advance your career in less than two years. Aurora University offers the ultimate in flexibility to busy working nurses. Students who are seeking to better their education with a bachelor’s degree can attend school part- or full-time, online or at one of three campuses in Illinois and Wisconsin. Students are attracted to Aurora because of its close-knit community of educators and nurses who work together in small classes and state-of-the-art facilities. Being a student at Aurora also means you get access to a variety of hospitals and community health centers in the surrounding area. You’ll also get opportunities for individualized study and training that will prepare you to be a leader in the healthcare industry. Classes are generally taught in 8-week modules year round. 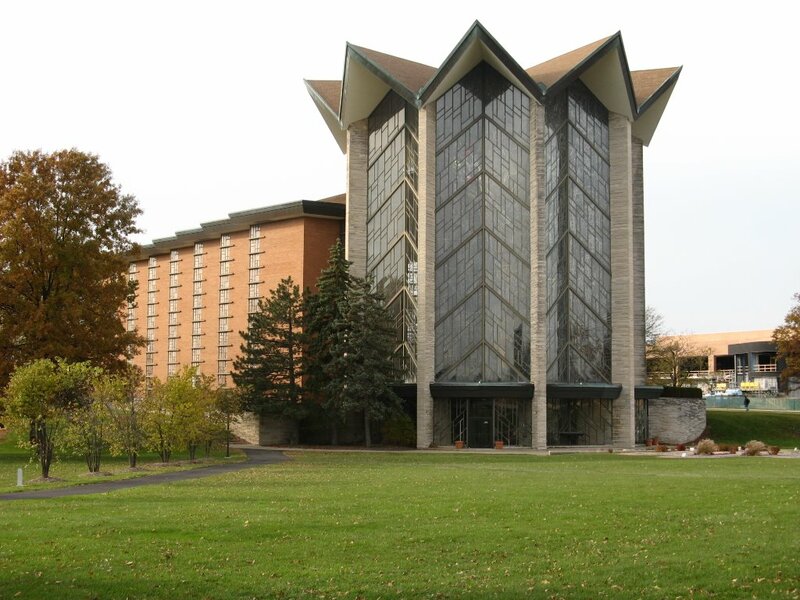 The College of Mount Saint Joseph has an outstanding reputation in the Midwest as one of the premier schools for producing healthcare leaders. 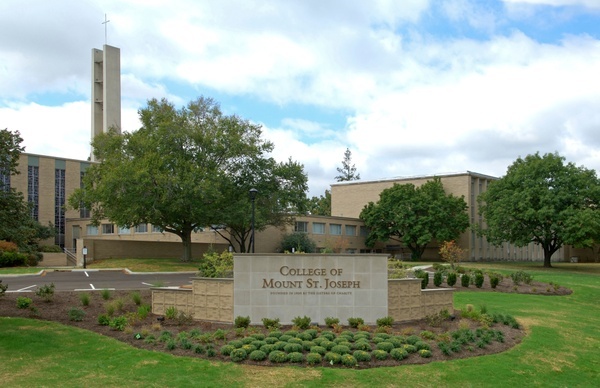 After more than 80 years of educating nurses, Mount Saint Joseph has established a tradition of interactive and applied learning experiences, well-qualified faculty, and cutting-edge technology. 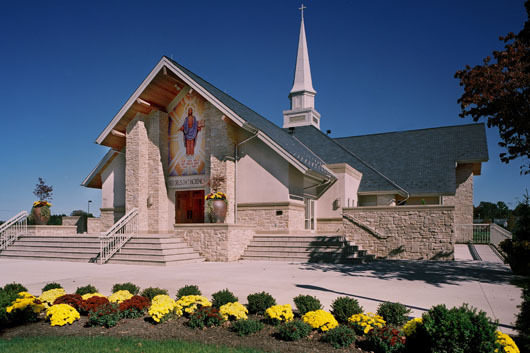 The school has a multifaceted approach to education that integrates theories and research, liberal arts, philosophical and theological studies, cultural studies, and technology. Depending on your schedule, you can enter into the online or face-to-face RN to BSN program, both of which involve intensive, accelerated study. There are multiple reasons Salisbury is one of the best nursing programs in the region. Students experience close faculty supervision in clinical courses; expert professors, all of whom teach both in the classroom and the lab; excellent clinical facilities and hospital affiliations that include an award-winning regional trauma center; and faculty mentors who help guide students and give them academic advise. 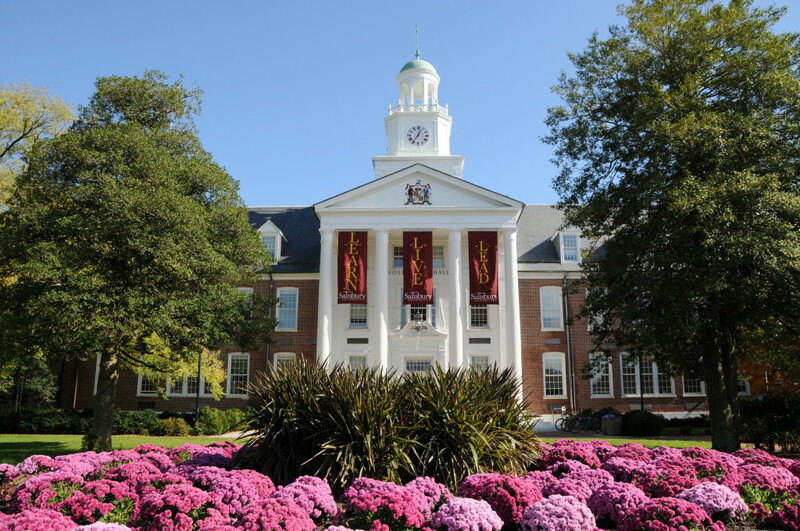 As proof of Salisbury’s quality, the school has the highest three-year average NCLEX pass rate of any school in Maryland and the Commission on Collegiate Nursing Education recently granted the program accreditation for the maximum period possible. 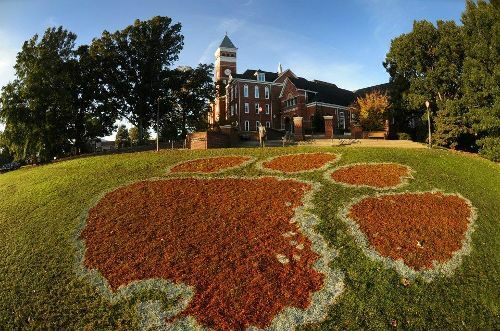 Clemson’s CCNE-accredited program deftly melds the art and science of nursing into one comprehensive program. The department encourages students to focus on scholarship, community service, leadership, and compassion while pursuing their studies. The RN-BSN program is “web-enhanced,” meaning that it combines face-to-face instruction with online learning in a hybrid format. Students only have to meet on campus every other week, using the remaining time to complete interactive web modules as they complete classes like Healthcare Genetics, Professionalism in Nursing, and Community and Family Learning. This prestigious university retains students with overwhelming regularity and has a 91% freshmen retention rate and a 83% graduation rate. 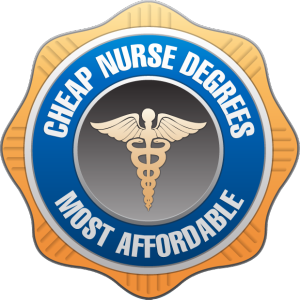 As the #2 college on this list for quality and with a midrange affordable price tag, Waynesburg College is a great choice for anyone looking to receive a BSN. Programs are incredibly flexible and include a variety of options so you get exactly what you need out of your education. Classes are available part- or full-time and a number of surrounding hospitals and regional centers. Both face-to-face and online instruction ensures that you benefit from all the resources of a traditional nursing school, including free academic support services; small, interactive class sizes; and supportive nursing staff mentors. By applying to the online RN-BSN program at the University of Vermont, you can get all the resources of a large state university with all the advantages of flexible distance education. However, keep in mind that you will need to attend campus for one class that requires the use of the state-of-the-art simulation lab as part of an intensive summer course. 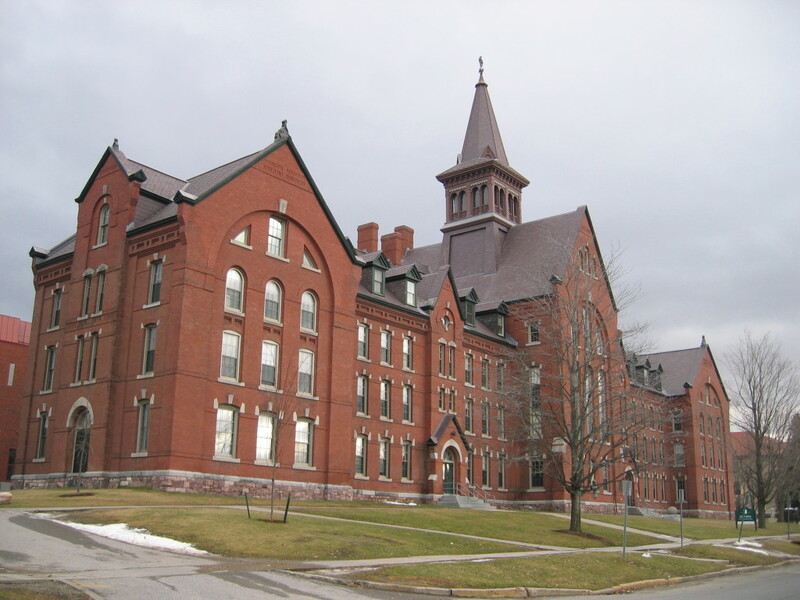 The university is also accommodating to transfer credits and allows students to take general education classes at any other institution while still earning their nursing degree from Vermont. You might also be able to get discounted tuition rates if you work in a hospital and your employer has an agreement with the university. UT Austin’s School of Nursing offers an ADN-BSN program that is tailored to students who already have an associate’s degree, and it is designed to be a gateway to advanced nursing practice and graduate level study. Students can complete all courses in one to one and half years and can choose from four web-based and eight face-to-face classes. Students only need to complete general education courses and 12 upper division nursing courses to receive their degree and can also take NLN mobility exams for additional credit. 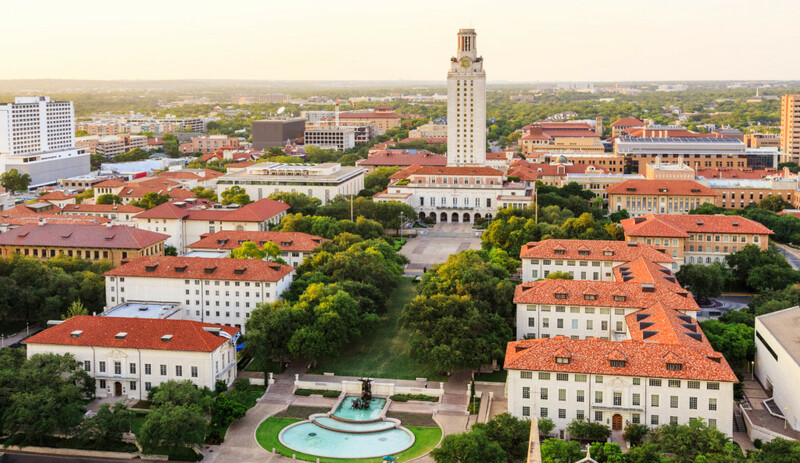 With NCLEX pass rates and freshmen retention rates both north of 93%, it’s no wonder UT Austin’s program is one of the top-rated in the country. The University of Central Florida has an extensive nursing department that offers multiple bachelor’s degrees, including a concurrent ASN to BSN program and ASN to BSN and RN to BSN completion programs; multiple master’s degrees, multiple doctor of nursing and doctor of philosophy programs, and several graduate certificates. Classes meet both online and face-to-face and are available at regional campuses throughout the area. Because of the similar ASN-BSN program, registered nurses who do not have an associate’s degree can still complete their bachelor’s degree in an accelerated time frame. Central Florida also offers special programs for military members who hope to enroll in the nursing school within the next two years. 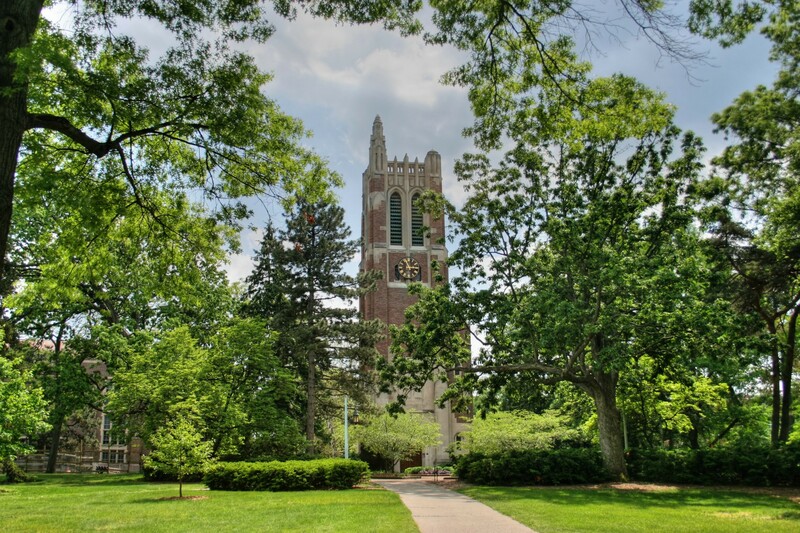 The nursing school at Michigan State University is an international leader in providing innovative technology-assisted learning to students and in preparing them to adapt to the evolving needs of the global community. The school has also responded to the nursing shortage by making it easier for people to gain access to their programs. The BSN for registered nurses is an online program that includes clinical practice in centers close to students’ homes. The CCNE-accredited program strives to give nurses a broad BSN education that integrates practical preparation with knowledge of the humanities and biological, physical, and psychological sciences. MSU consistently reports NCLEX pass rates of 100% and higher-than-average freshen retention and graduation rates. You won’t miss out on any opportunities just because James Madison’s nursing program is online. All distance education courses feature a supportive environment, an empowering community, and a cohort of adult learners who progress through the program together. Students also benefit from practical experience and role development and are encouraged to engage in research, practice with advancing technologies, and be change agents in the industry. JMU’s program is also unique in that in emphasizes the care of underserved, rural, and diverse populations. With so many opportunities to succeed, it’s no wonder the school claims a graduation rate over 80%. Boise State University has a much-praised nursing department that was named an “Editor’s Choice” by Degree Scape. The school’s online RN-BSN degree completion program is designed with the adult learner in mind and includes classes like Nursing Research and Evidence Based Practice, Community and Population Health Nursing, and Current Trends in Nursing. Students also complete a final Capstone Course that assembles a variety of skills into a single class, with opportunities to present knowledge learned in a professional group environment. Boise State’s program is highly competitive and requires an entrance GPA of at least a 3.0. 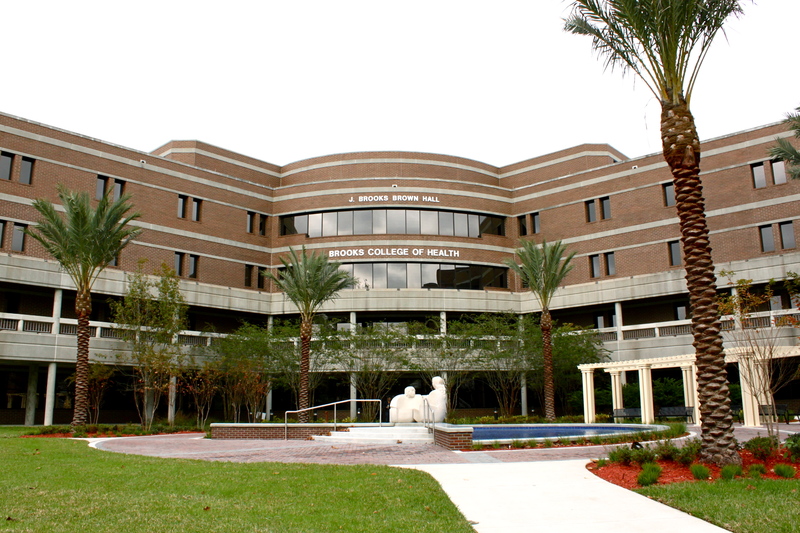 The School of Nursing at UNF is a flagship program of the university system and is designed to correspond to the ever-evolving trends in healthcare delivery. Curriculum is both population-focused and community-based and focuses on helping students build strong relationships with surrounding community agencies. The RN-BSN Bridge Program is available both online and on campus, and all faculty use web-enhanced technology to maximize students’ professional growth. Qualified professors teach all classes and offer individualized attention to all students. If you choose the on campus option you will be required to complete organized group community hours and limited clinical practice. 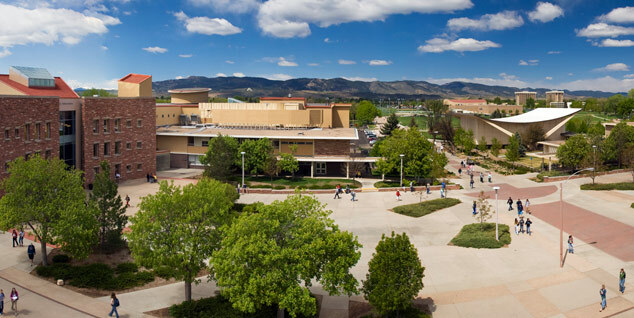 The University of Colorado offers a widely recognized nursing program that can be completed online or at the school’s campuses in Aurora and South Denver. 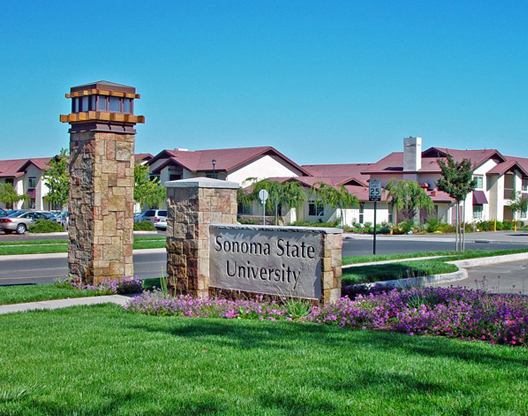 Many of its programs are nationally ranked for their quality and affordability. The RN-BSN program in particular is offered entirely online, which means that the classes are not limited to Colorado residents. Your experience starts when you join a fall or summer cohort, and together with your fellow students you will progress through just five comprehensive classes. You will also complete practicum experiences and will have the chance to focus on an individual area of interest through meaningful, personalized projects. 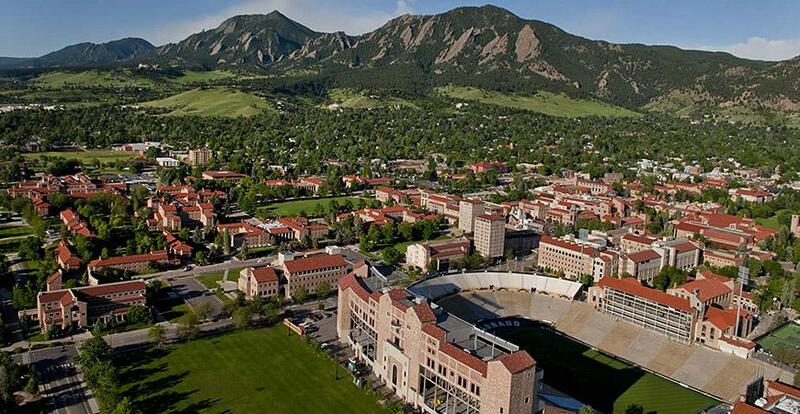 Another Colorado university on this list, CSU is a competitive program that requires a GPA of 3.0 to be admitted. Courses are offered both online and in a hybrid model and in several different plans, thus allowing you to choose the option that best suits your schedule. To ensure that all graduates achieve a certain level of excellence, nurses moving through the program are required to maintain a “B” average in all classes. As a testament to the quality of the school’s nursing classes, CSU regularly achieves NCLEX pass rates above 93%. Students also benefit from a culturally diverse student population, high-tech simulation labs, strong ties with local hospitals, and a plethora of networking opportunities. The Eleanor Mann School of Nursing has a reputation for producing nurses who excel in their field. By the time most students graduate they already have three or four job offers, and 100% find meaningful employment within a year. The online RN-BSN provides students with theoretical knowledge, practical skills, and a strong foundation in research – all of which contribute to their ability to meet the needs of diverse healthcare populations. All classes are taught by full-time faculty members and can be completed entirely in one year. The program is also convenient in that it only requires you to complete one clinical immersion course, and as many as nine hours of credit can be applied toward a Master of Science in Nursing degree. 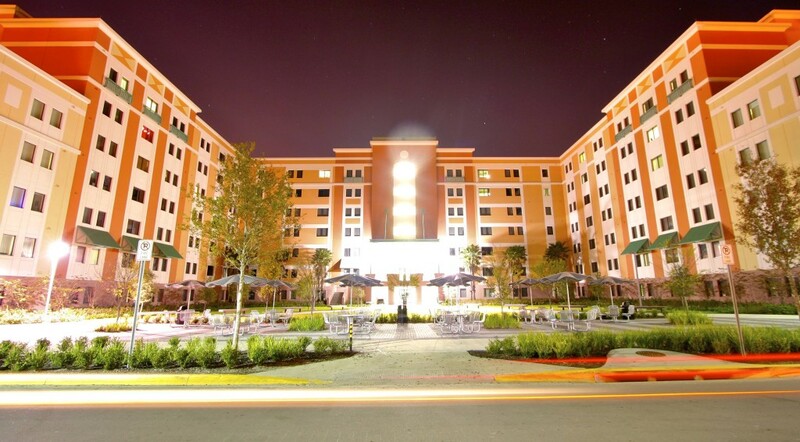 Louisiana State University has a significant nursing department that offers majors at the undergraduate, master’s, and doctoral degree levels. Undergraduates can choose from a BSN, “Career Alternative RN Education,” or RN-BSN degree. The RN-BSN program is a specialized degree that is based on the principles of adult education. The courses are planned specifically according to the needs and interests of RNs, so you can rest assured that you’ll receive valuable training that will serve you well as you strive to advance your career. 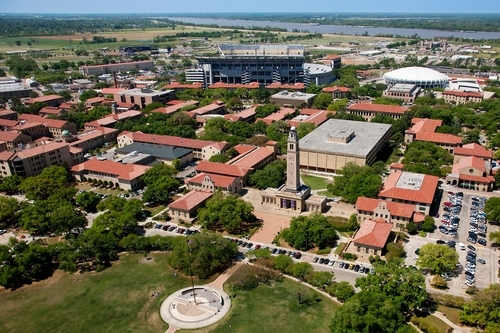 This is evidenced in LSU’s NCLEX pass rates, which frequently top 98% from year to year.